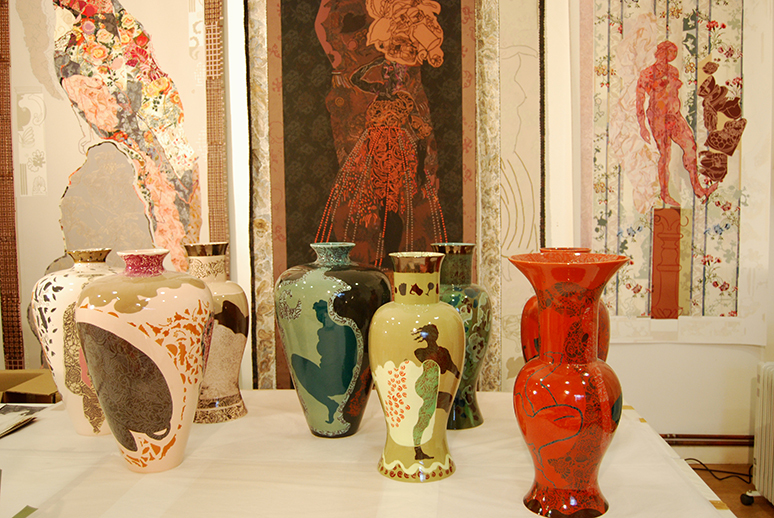 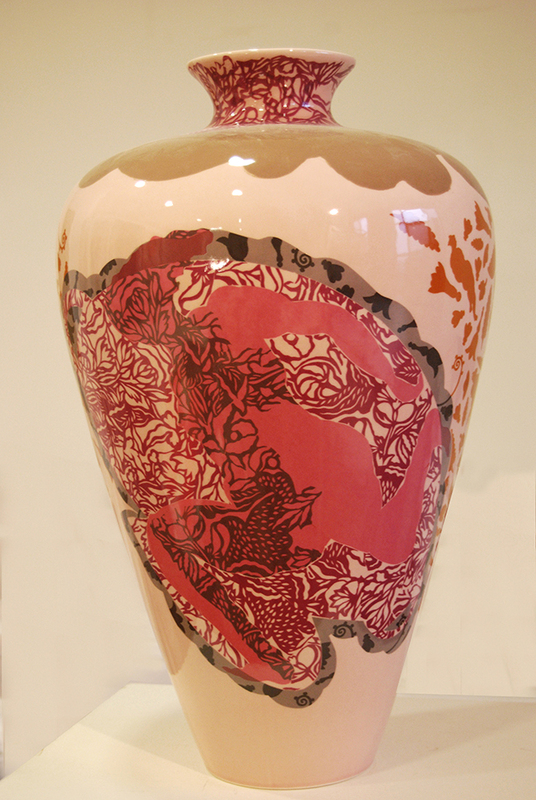 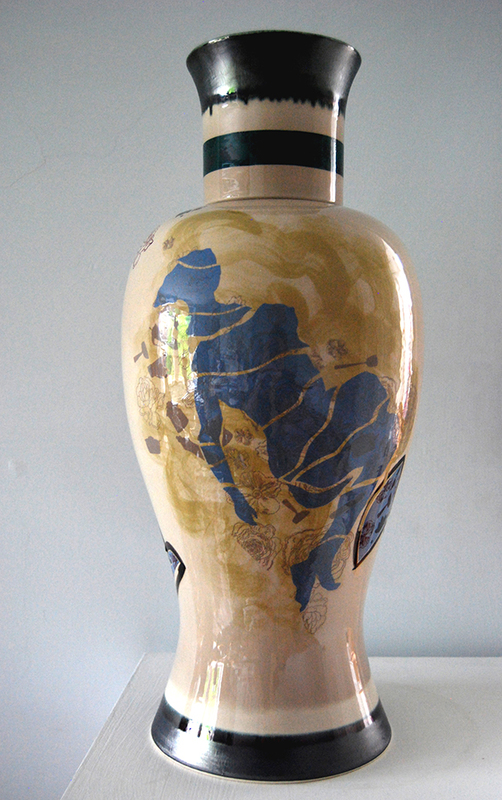 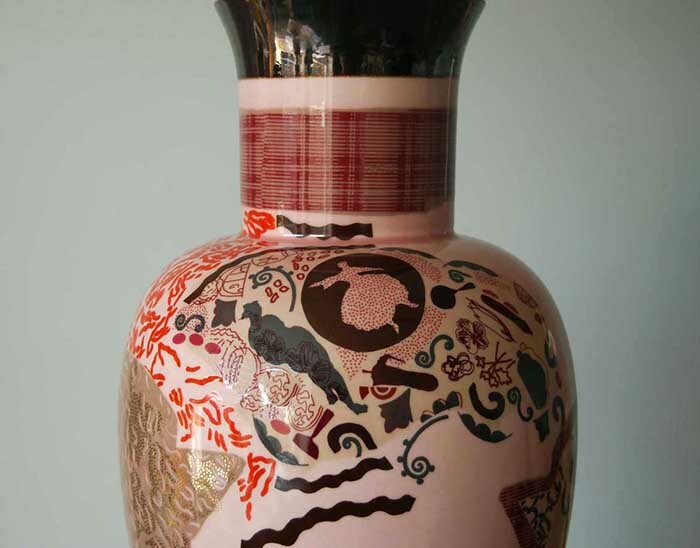 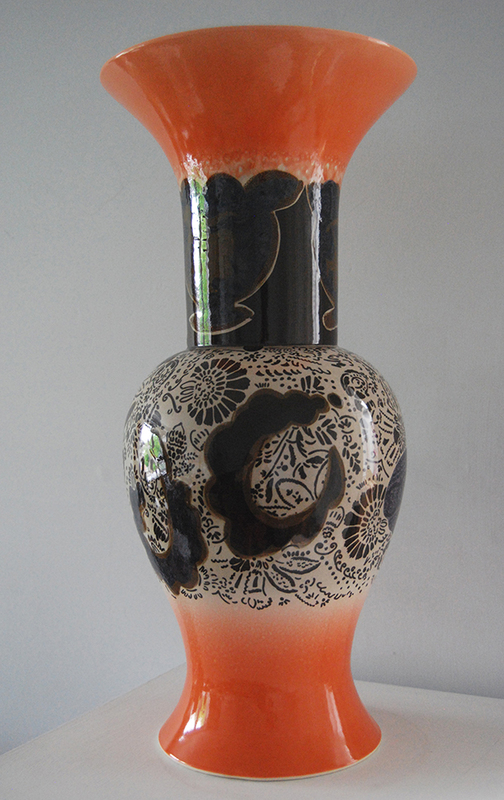 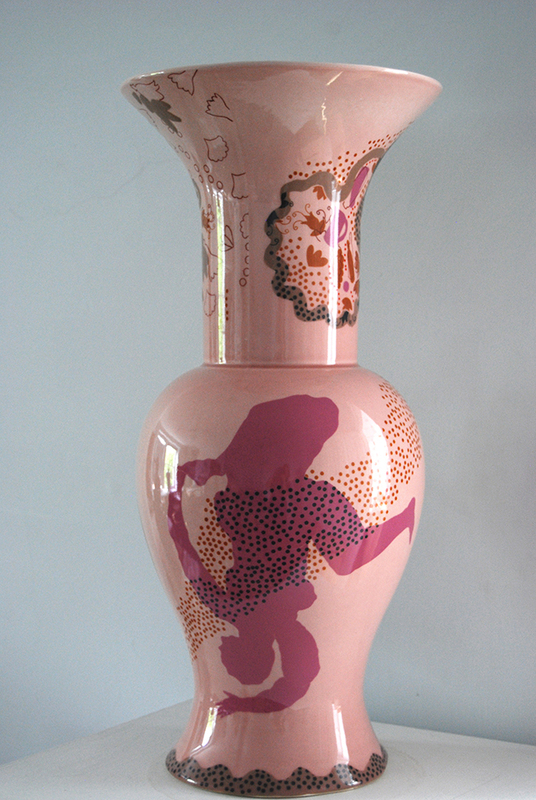 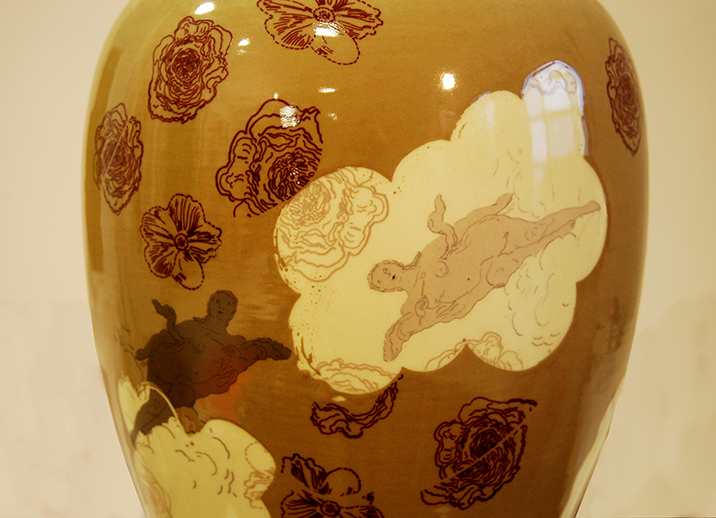 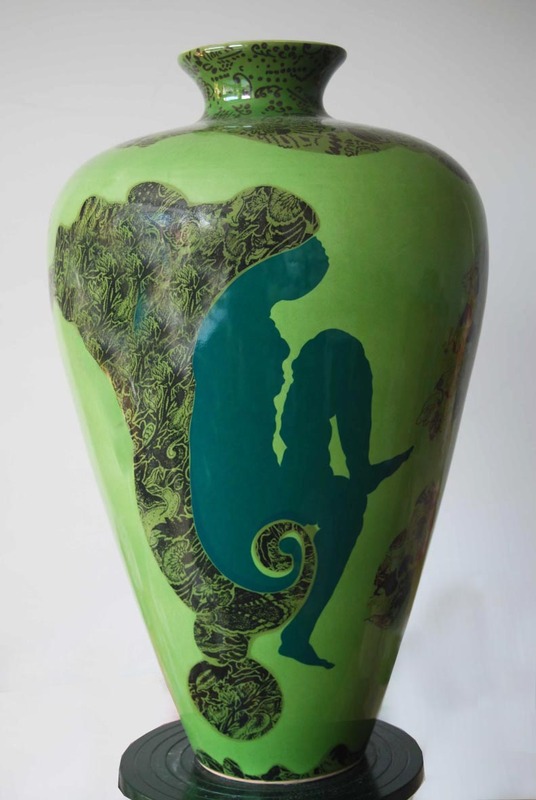 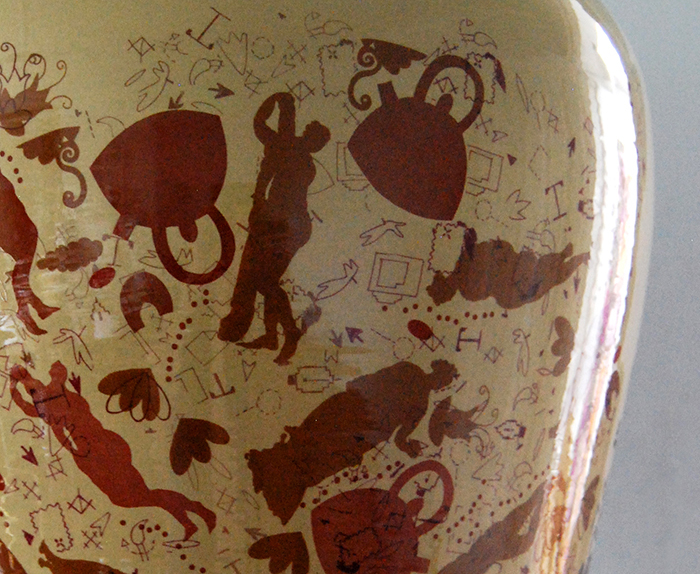 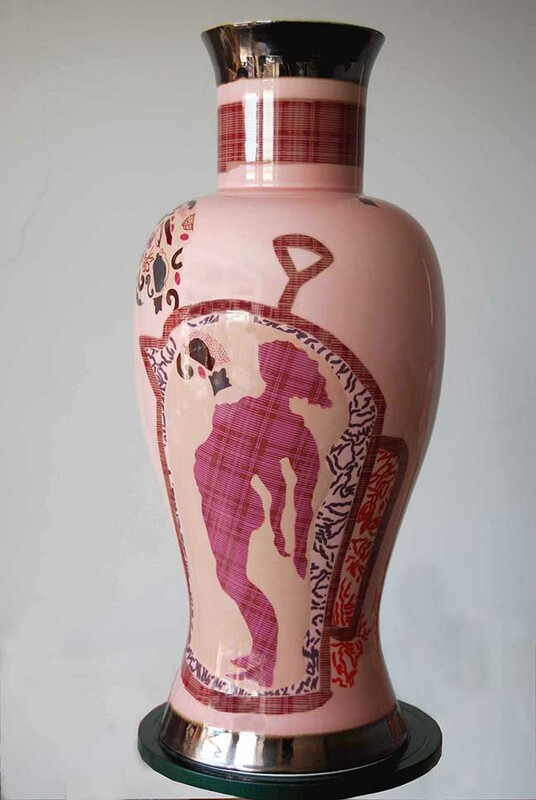 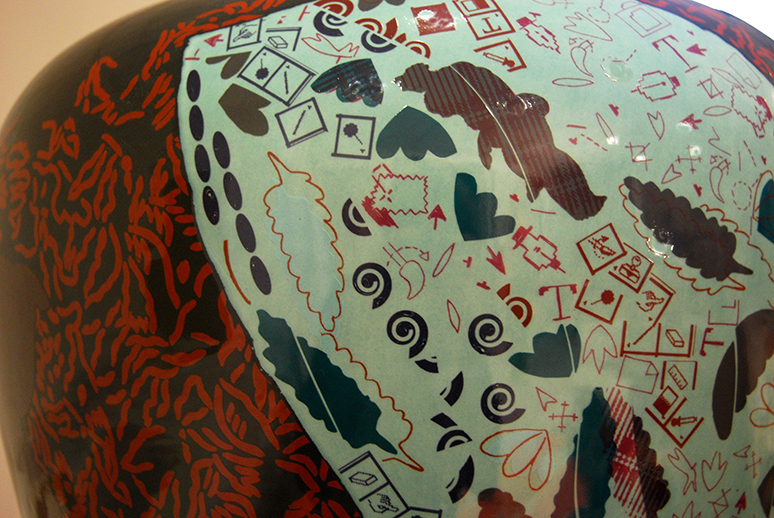 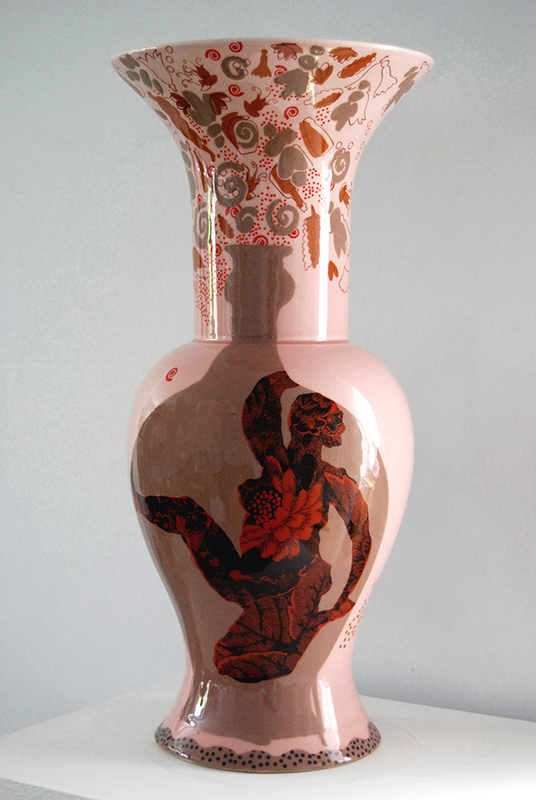 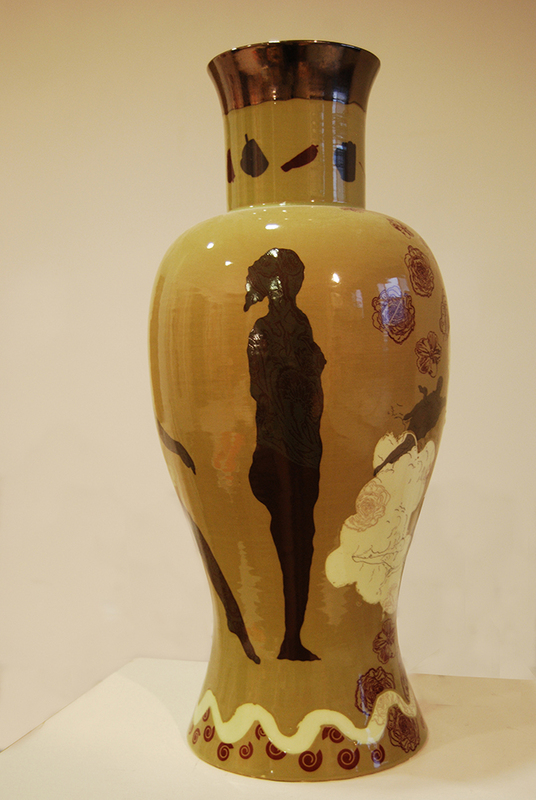 ‘A Concise History of Vessels’ completed in 2014 consists of a sequence of over thirty slip cast vessels with hand cut transfer, each 58cm in height, which take the ceramic vase, with its female connotations as a three dimensional canvas around which are juxtaposed both images of vases, from the classical through to the everyday, alongside the female figure. 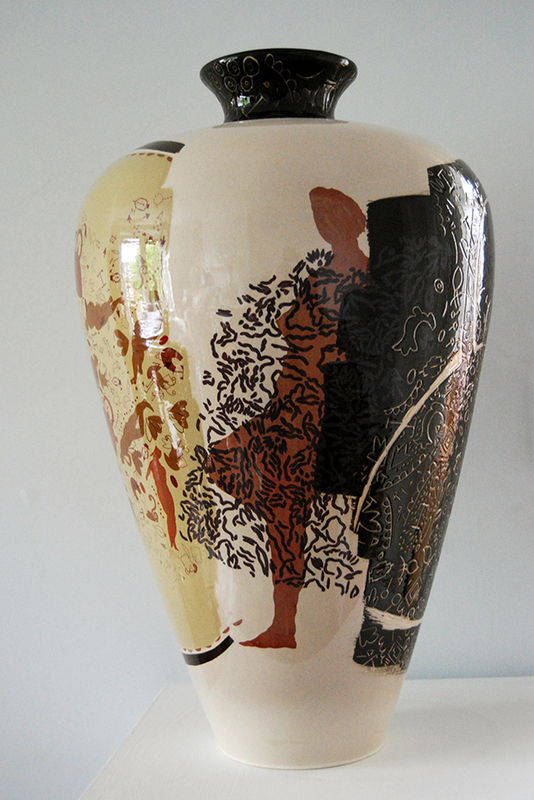 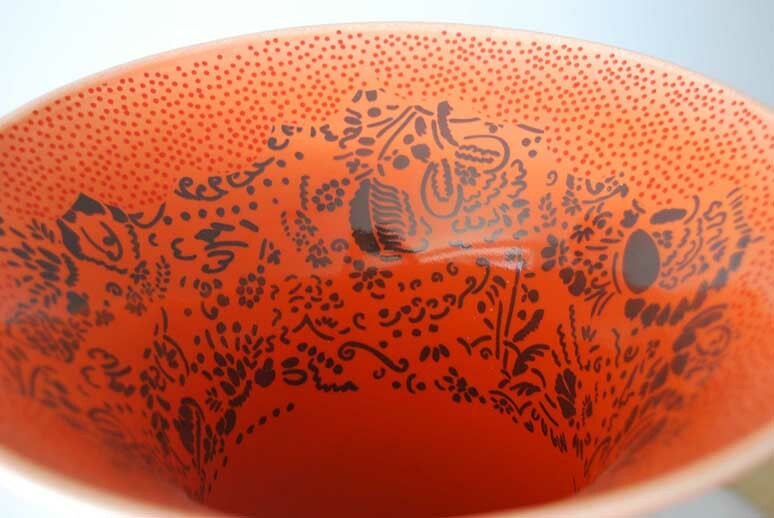 Ceramics made with the support of David Rawson and Trevor Dyer, Park Rose Ceramics and Treda. 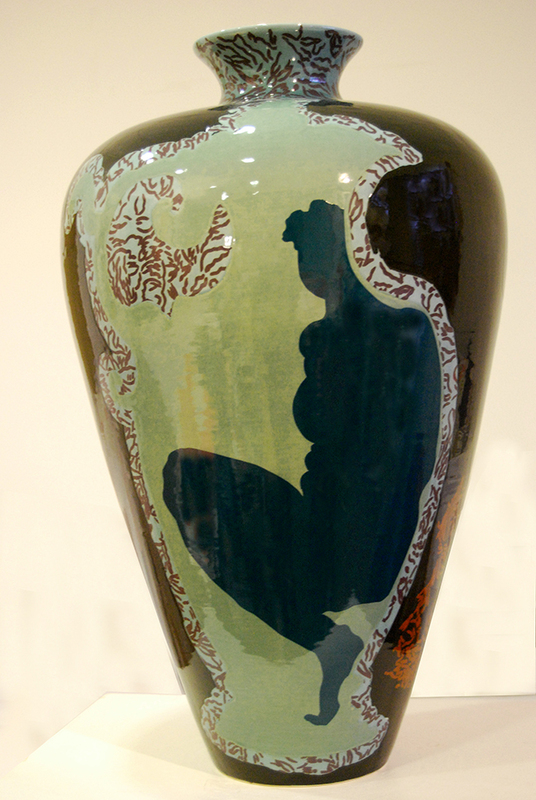 A selection of 6 were first exhibited at in ‘Kith and Kin II’, National Glass Centre 2012 with a further larger selection showcased with jaggedart at ‘Collect’ Crafts Council at the Saatchi Collection 2014.